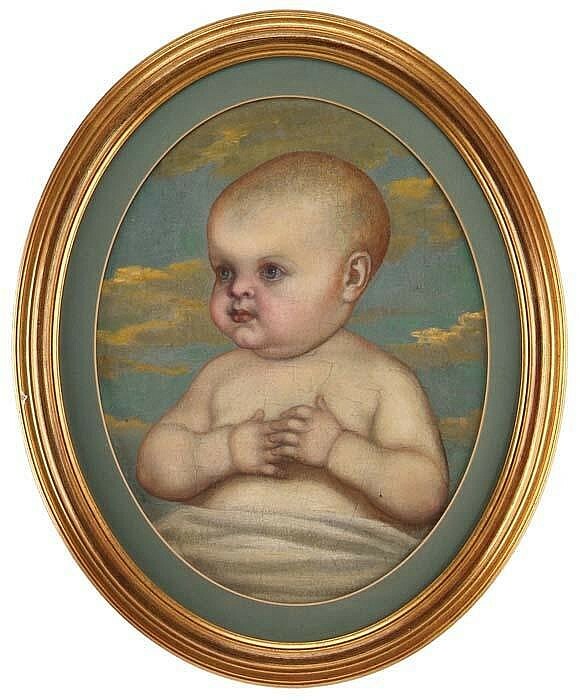 See parts 1-15 also for earlier works. 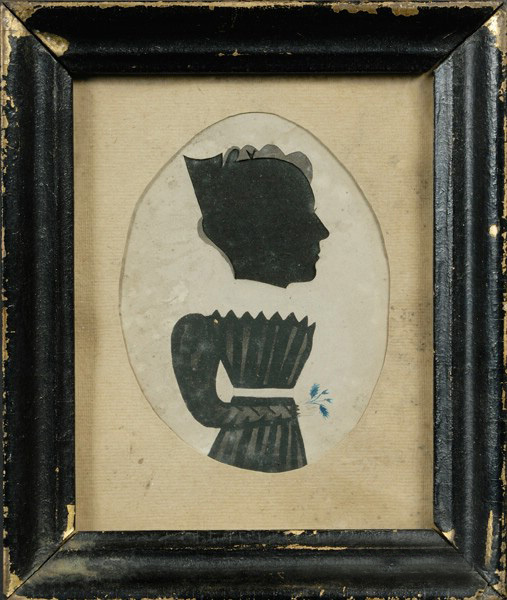 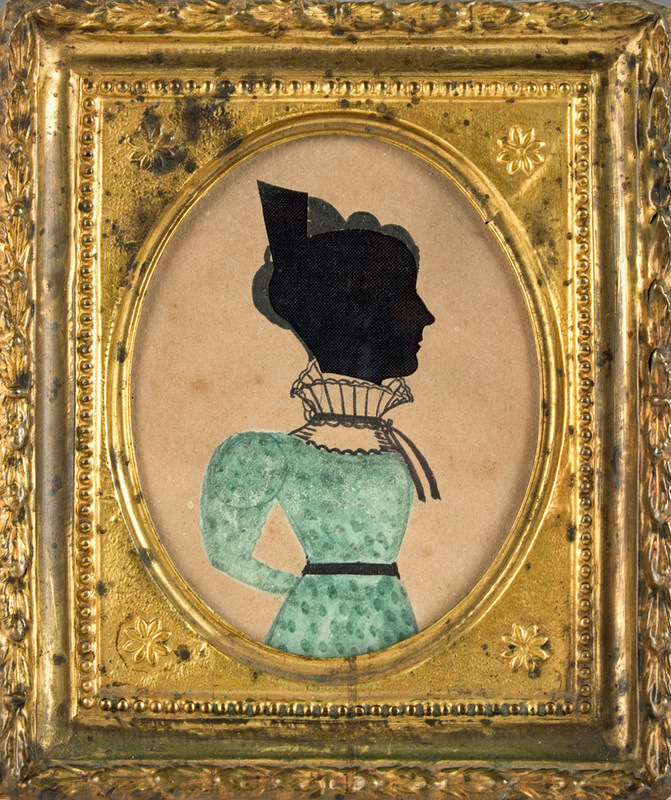 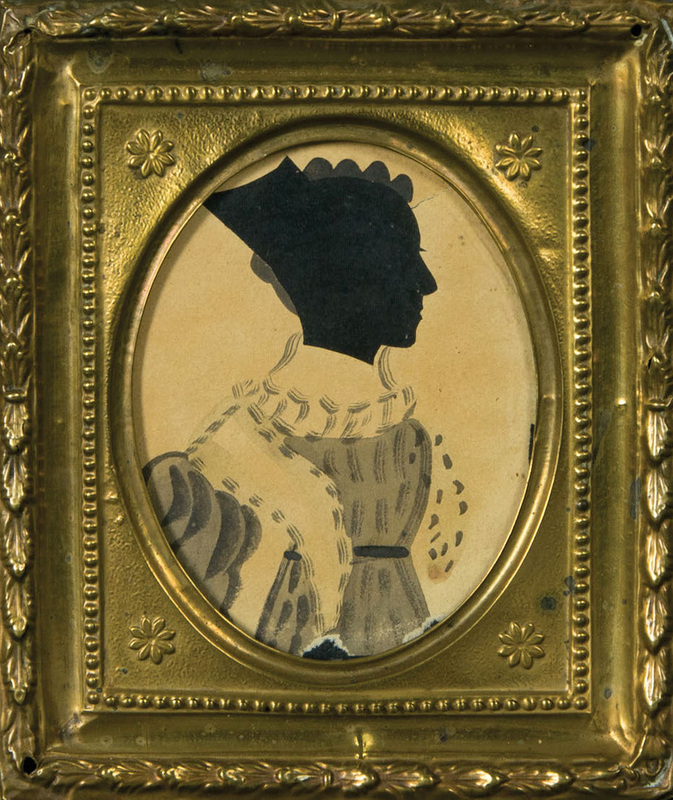 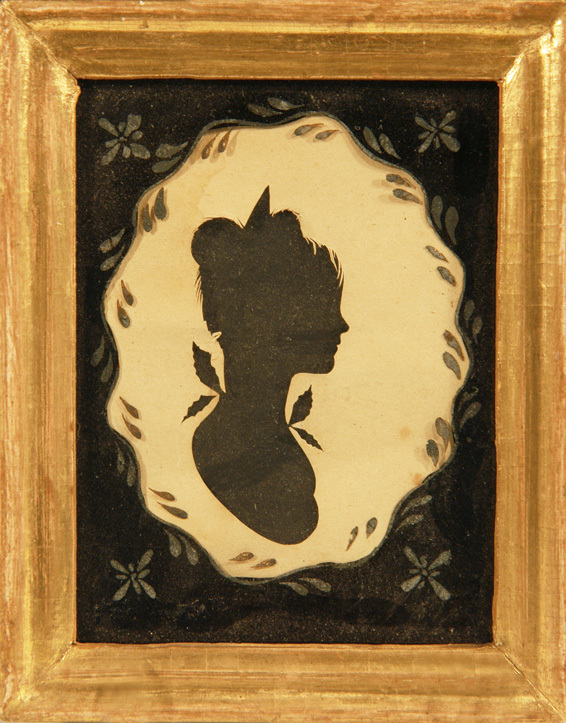 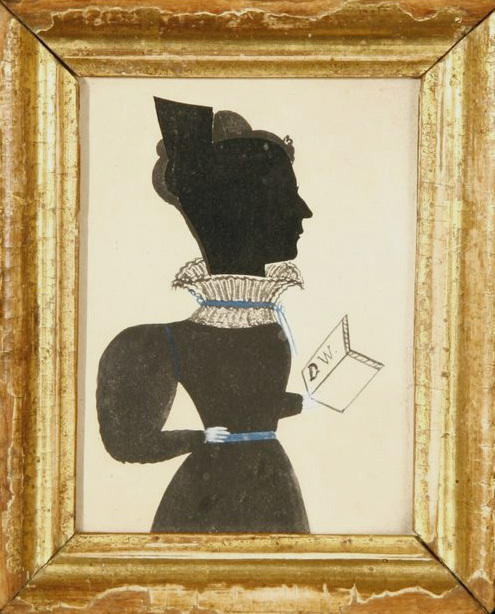 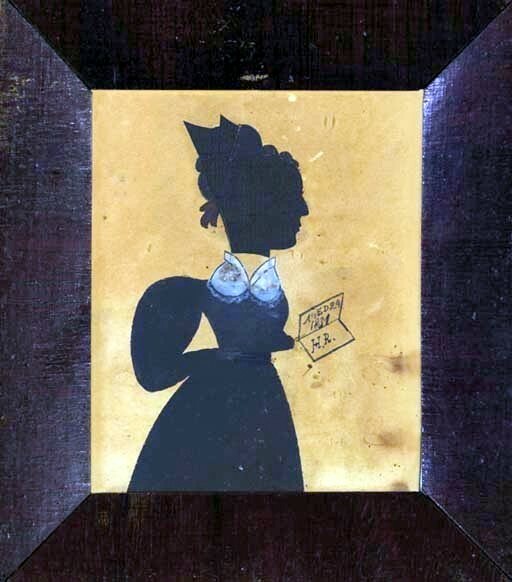 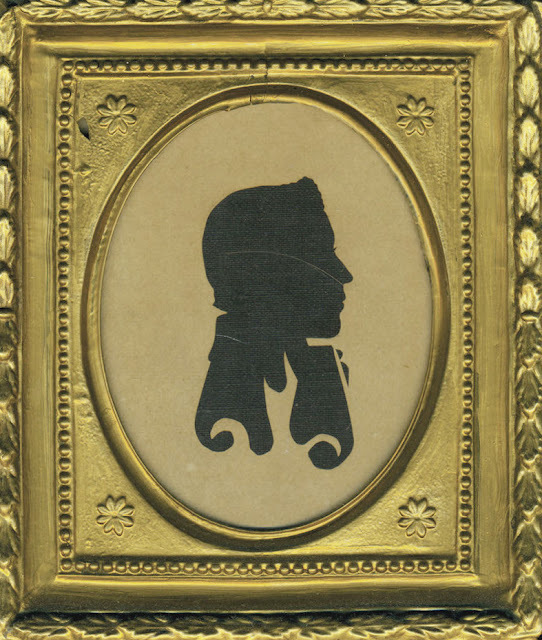 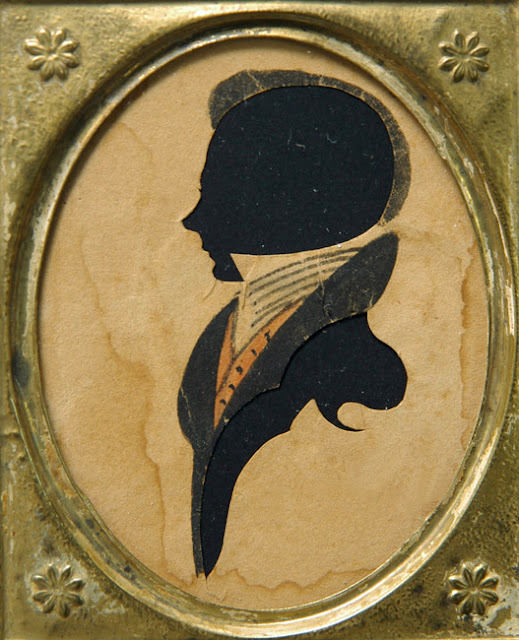 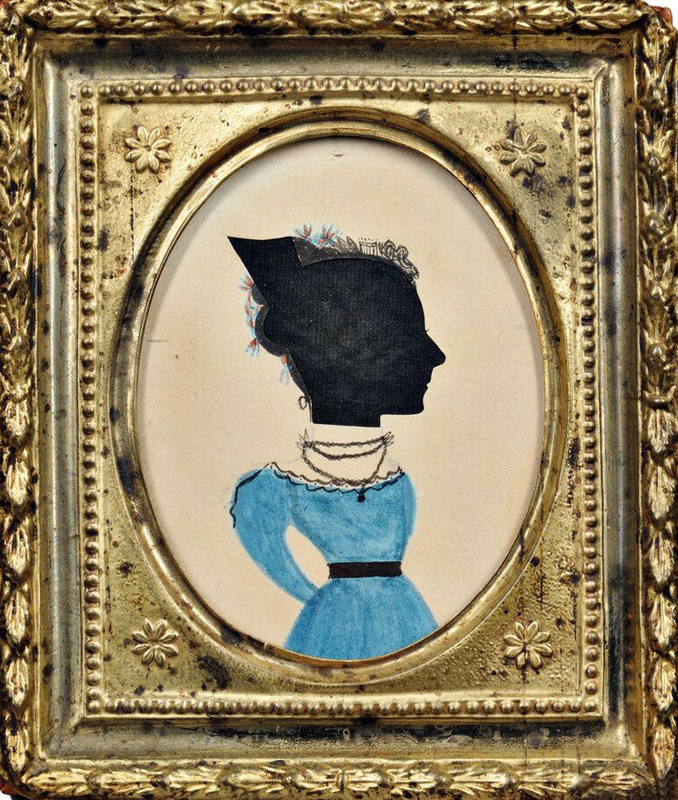 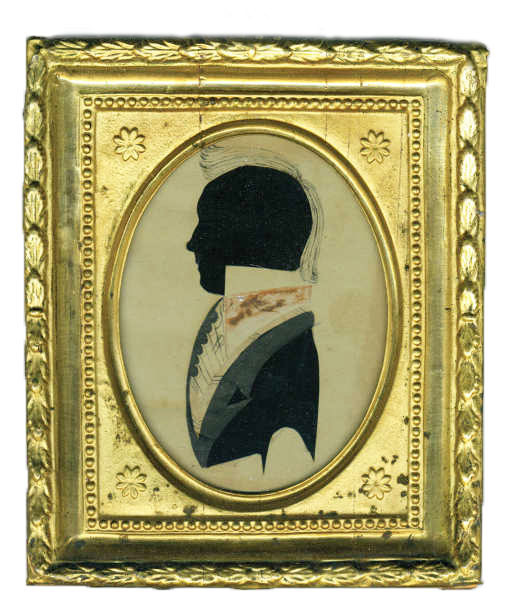 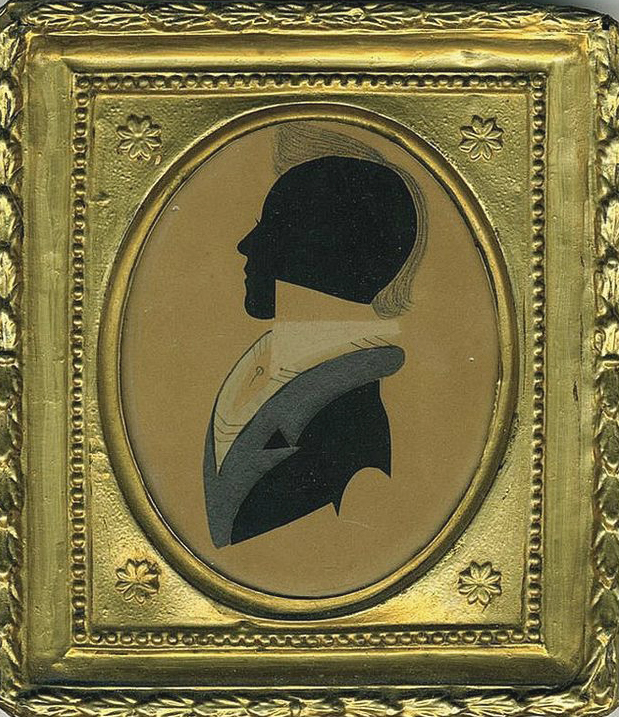 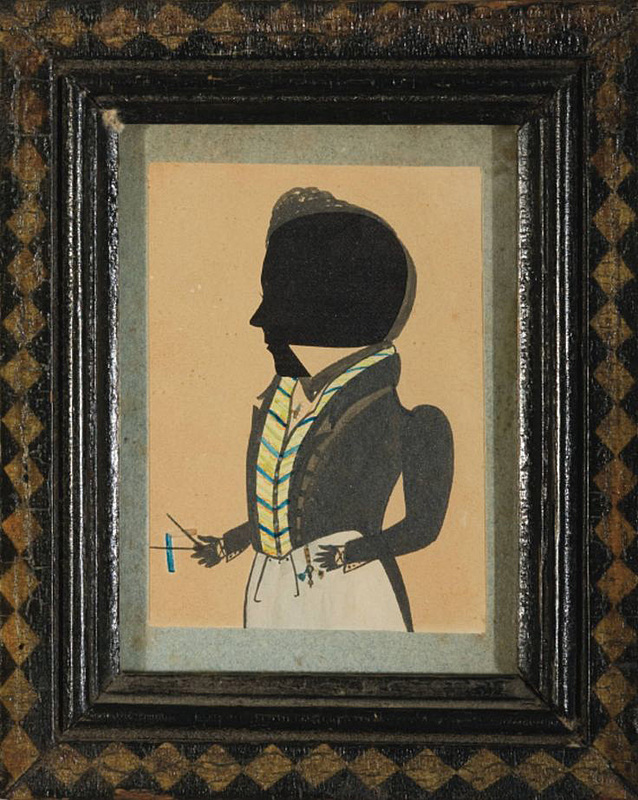 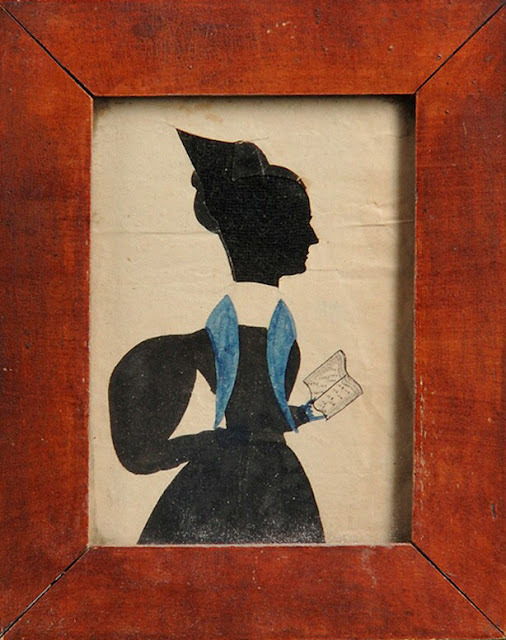 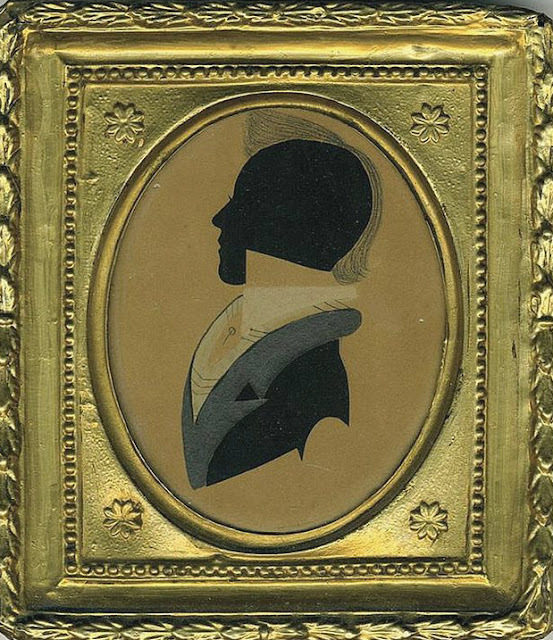 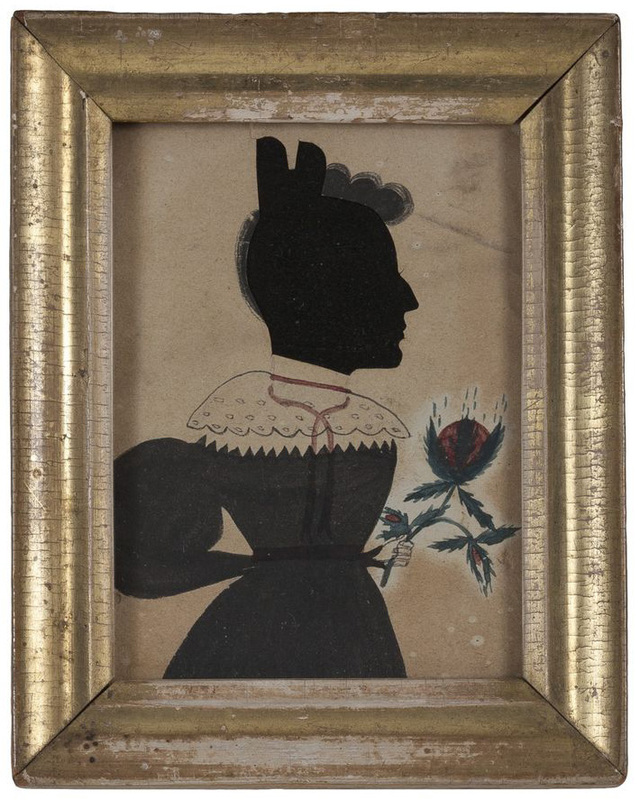 We don’t know who the Puffy Sleeve Artist was, but he or she left behind a legacy of unique naïve silhouettes with hollow-cut heads on watercolour bodies. 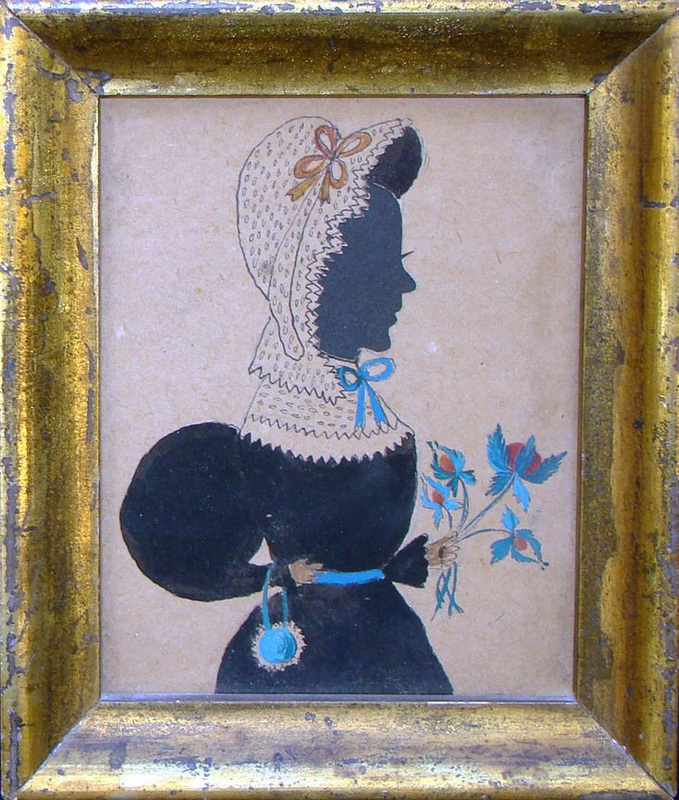 The dresses are always painted, usually in blue or black. 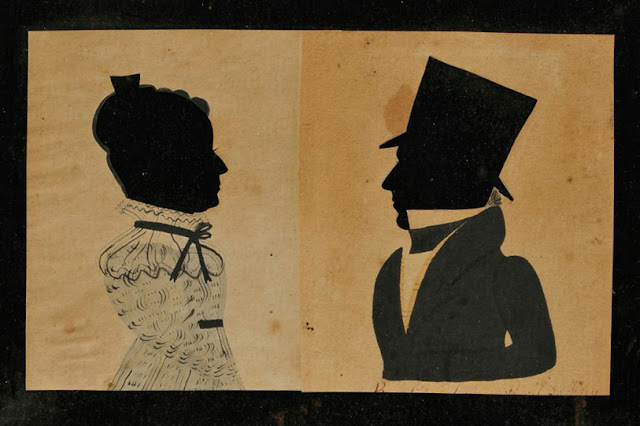 Women always face left, and men to the right. Books often bear the initials or age of the sitter, and a date. inscribed "Sarah Jackson - My grandmother taken when she was eighteen / just the head - the body was put on to make a more complete picture / 1829 18yrs old / Abby Elizabeth Kelly Carroll / nana's niece"
inscribed "June The 5 1838, Jonathan L. Stone aged 39 Was Born The 25 1799"
Portrait of a Gentleman inscribed "Liennel Tucker"
Horace Bundy was an untrained painter born in Hardwick, Vermont, 22 July 1814. He received his introduction to painting as a decorator of sleighs. 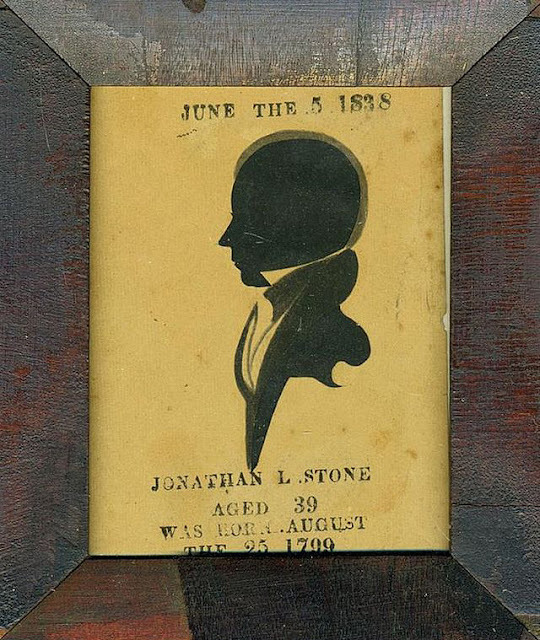 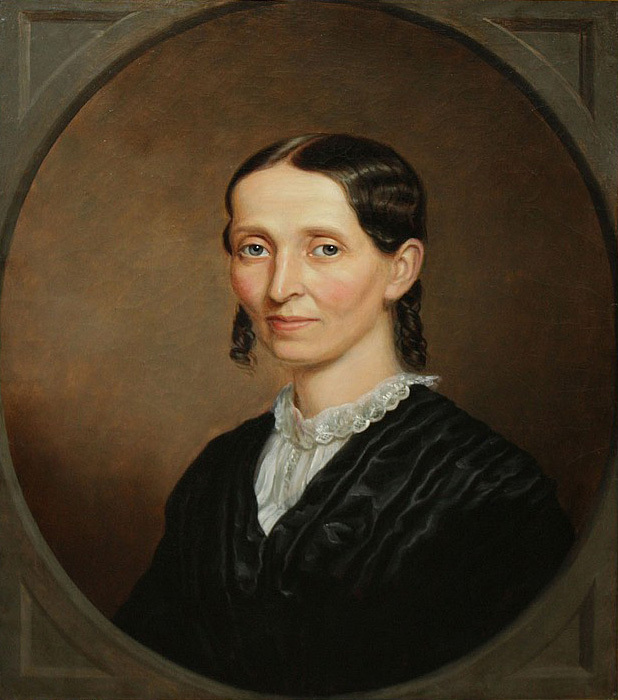 In 1837, while residing in Lowell, Massachusetts, he married Louisa Lockwood. 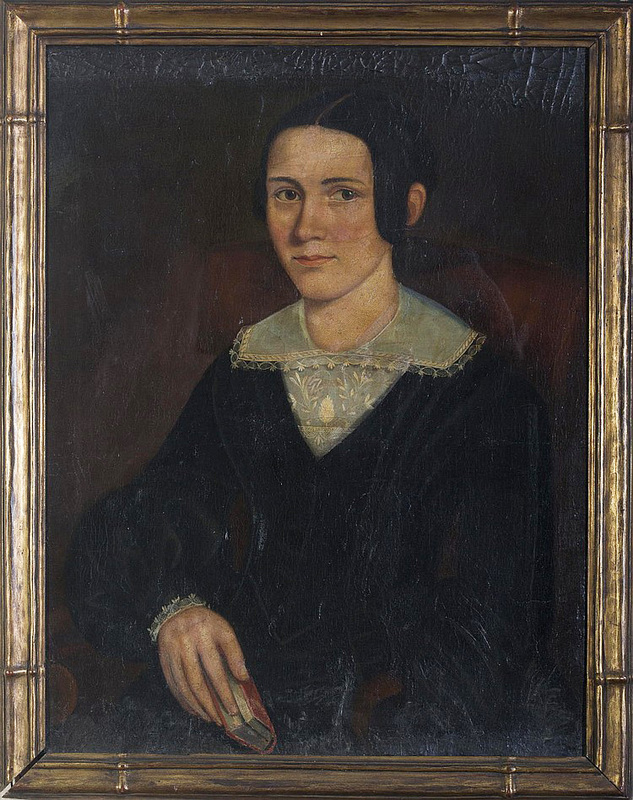 By 1841 the Bundys had moved into a house in North Springfield, Vermont, built for the couple by Louisa's father. 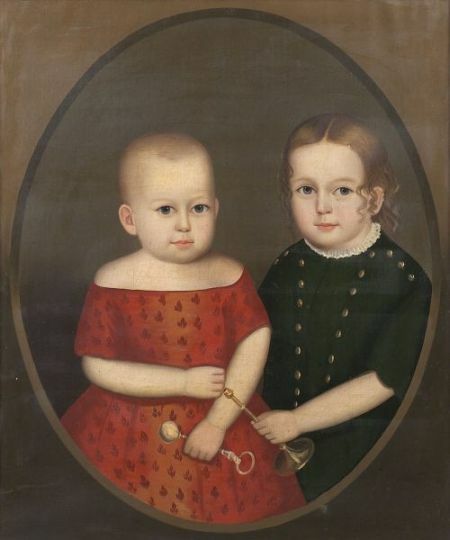 They had eight children. 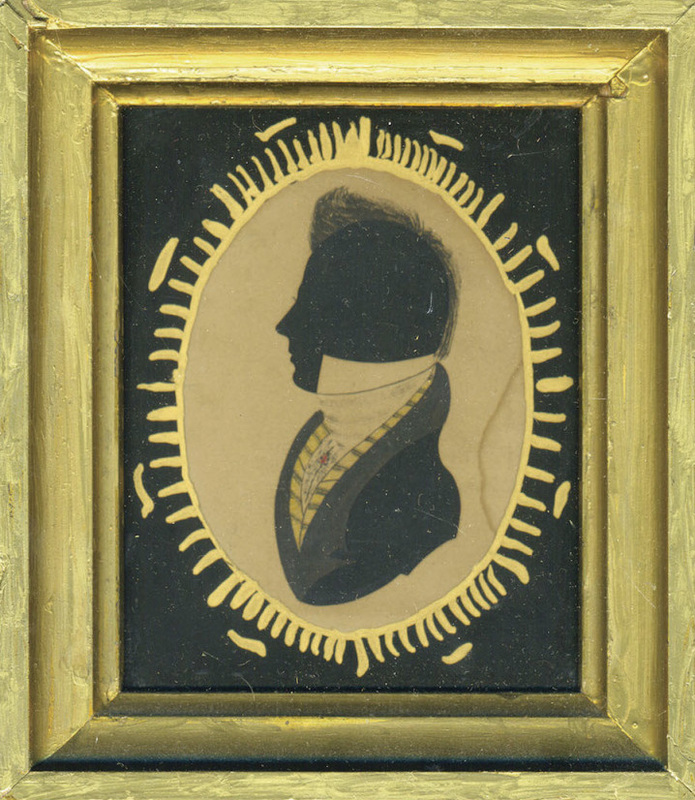 Bundy almost always signed and dated his portraits, often including a place of execution, thereby providing a record of his travels. 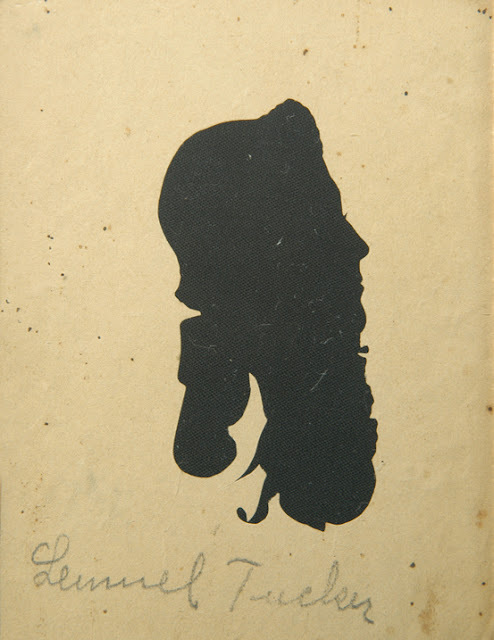 His itinerancy was likely as much a result of his religious calling as of his artistic one. 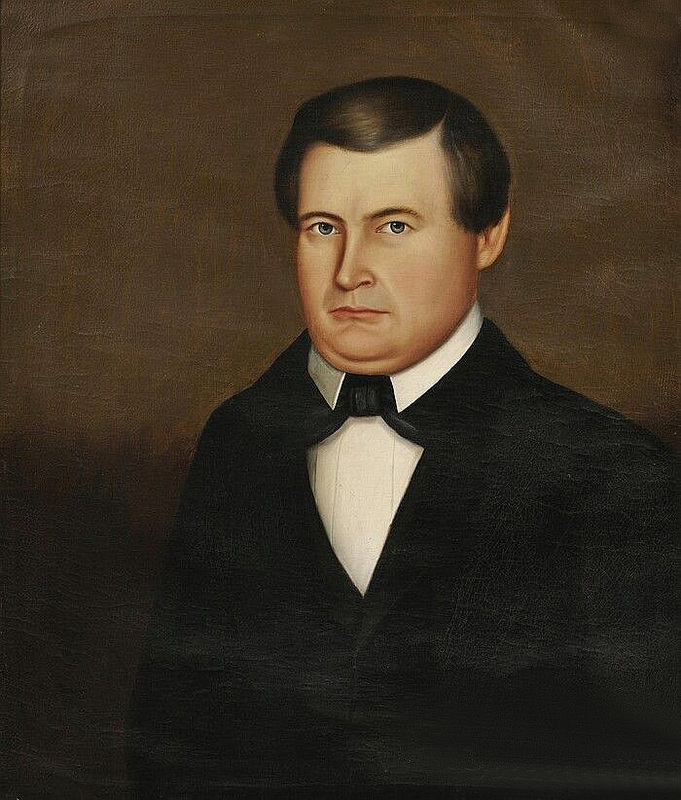 In 1842 he converted to the Advent faith and thereafter spent an increasing amount of time preaching throughout New England. 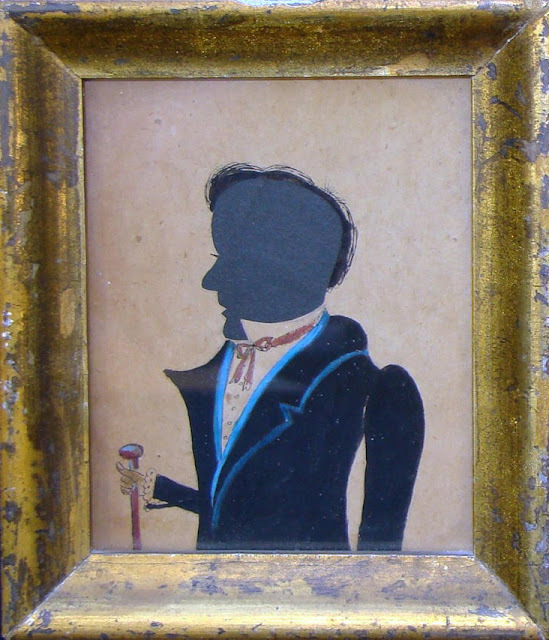 By 1850 he was painting, and certainly speaking as well, in Townshend, Vermont; Hancock, Nashua, and Fitzwilliam, New Hampshire; and Winchendon, Massachusetts. 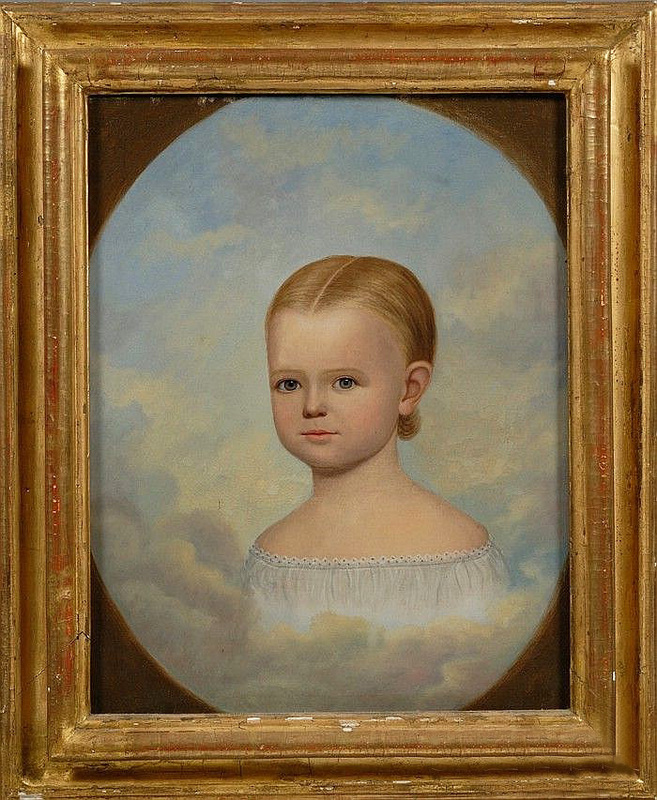 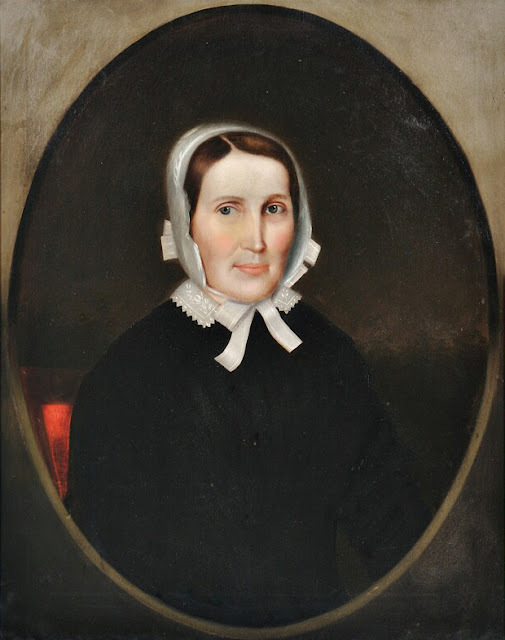 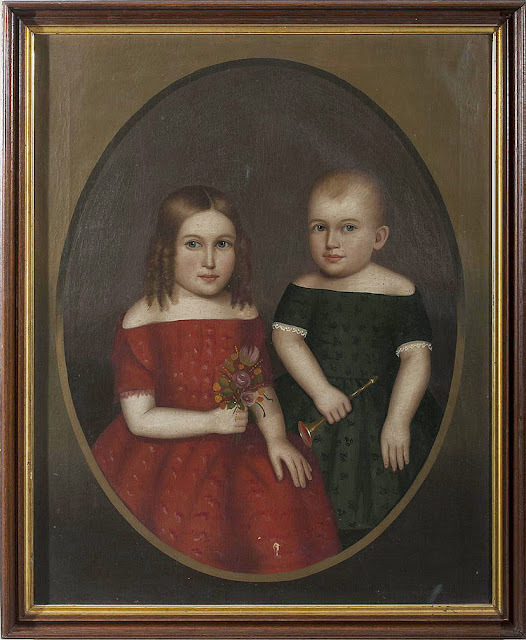 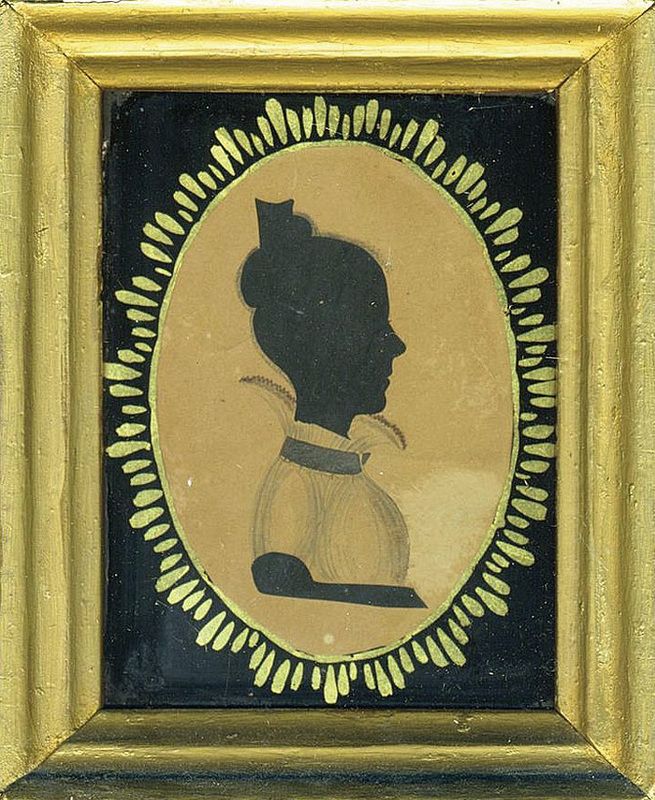 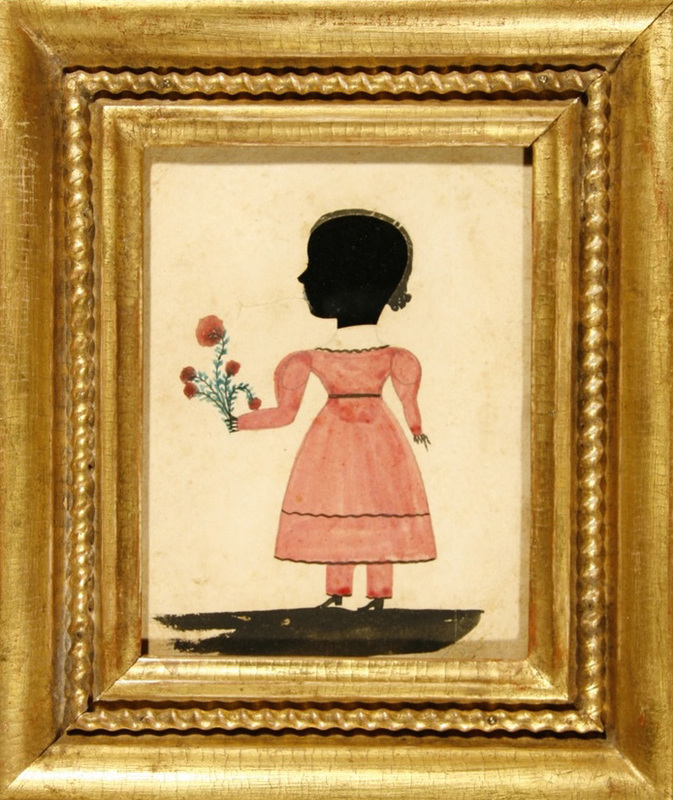 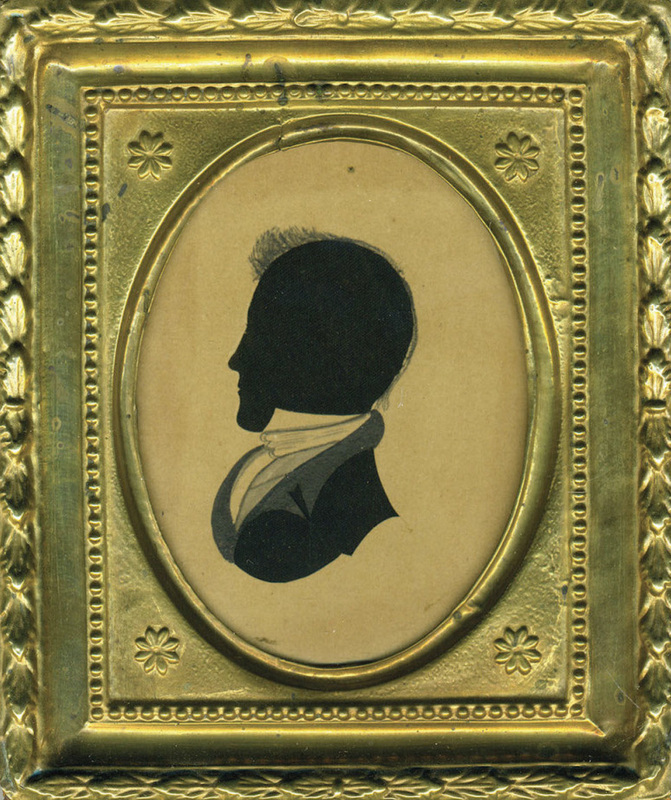 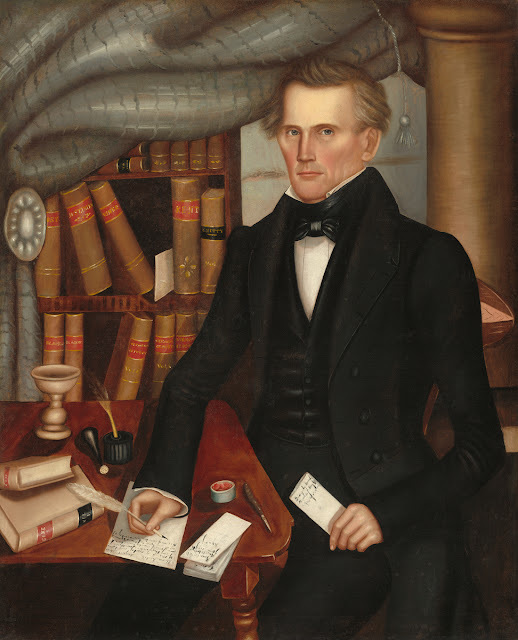 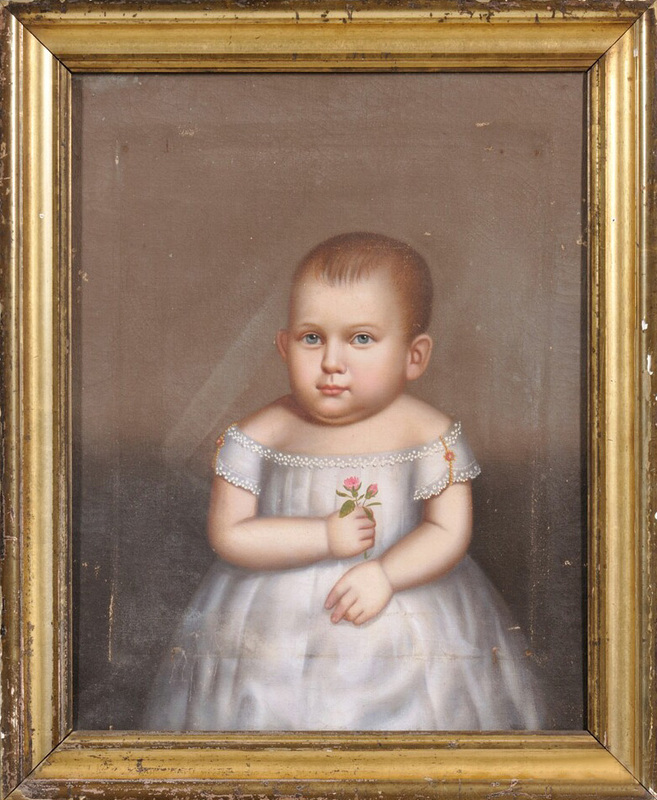 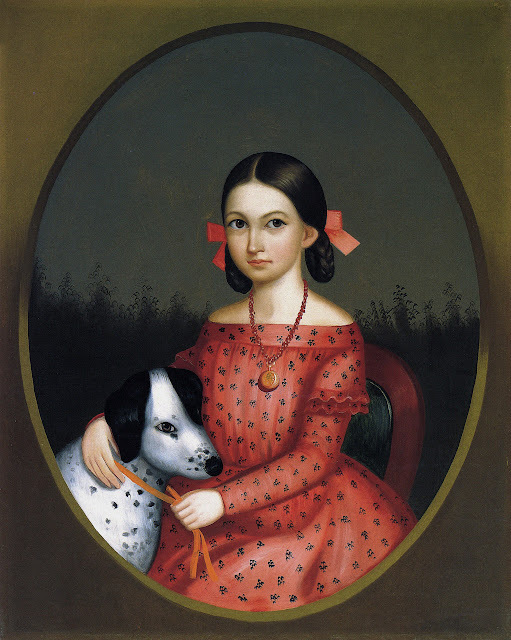 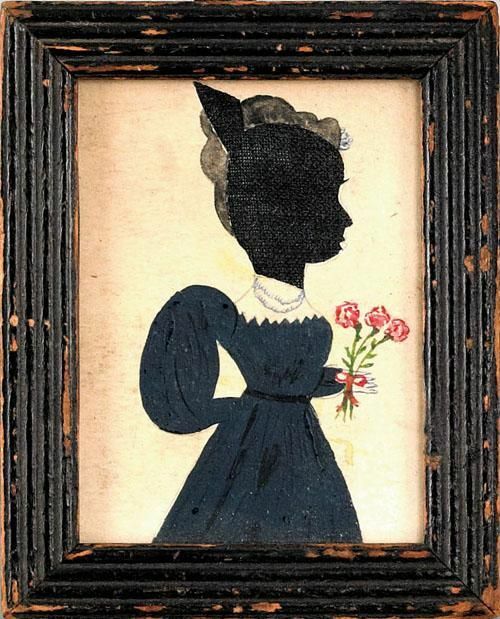 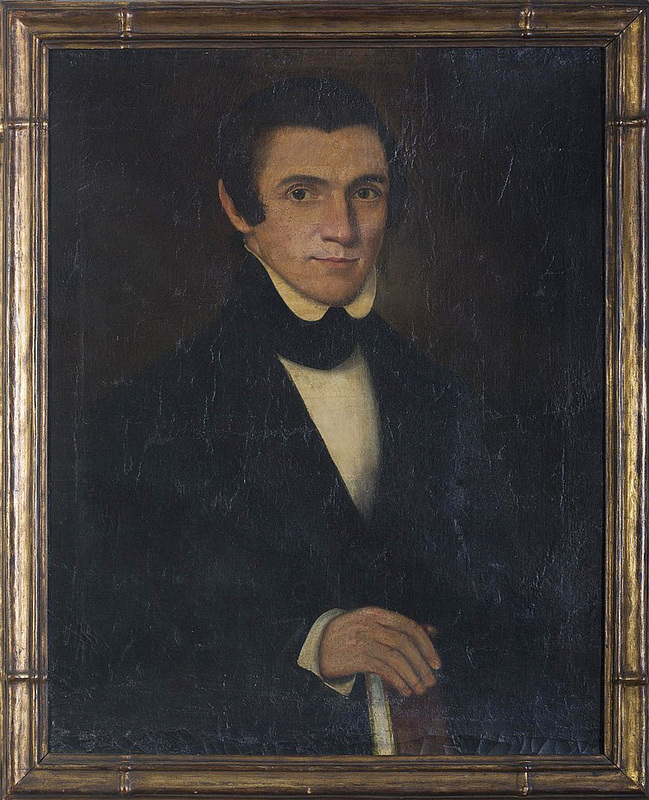 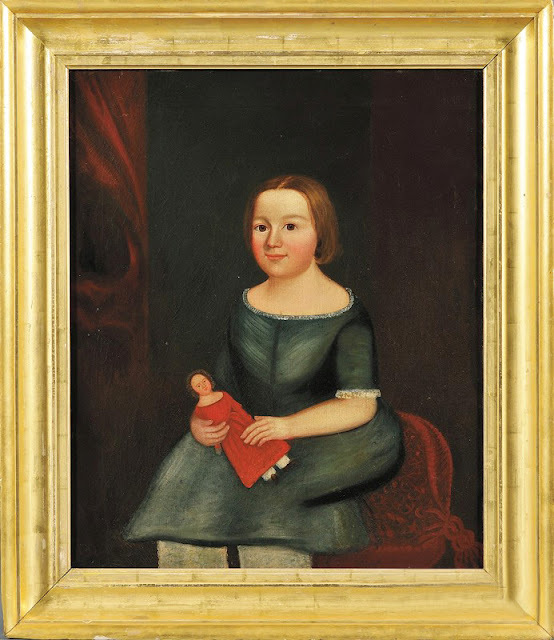 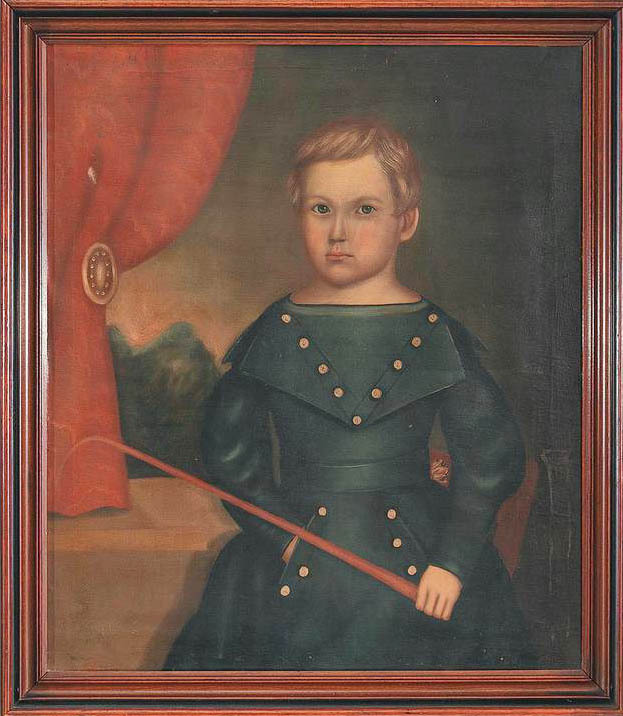 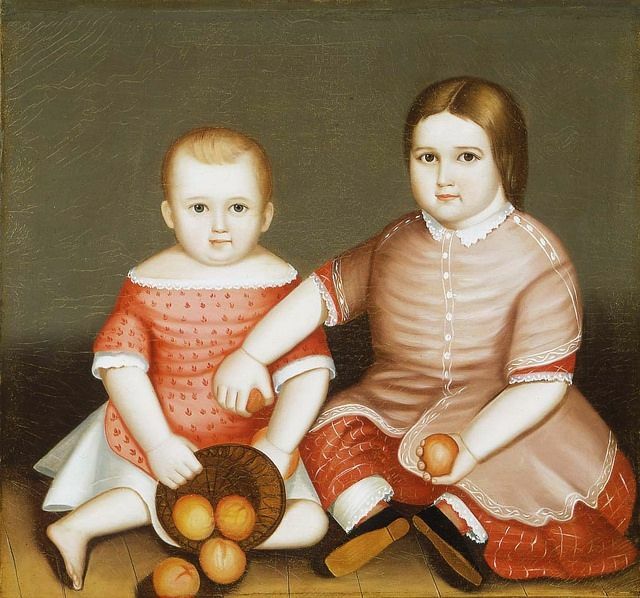 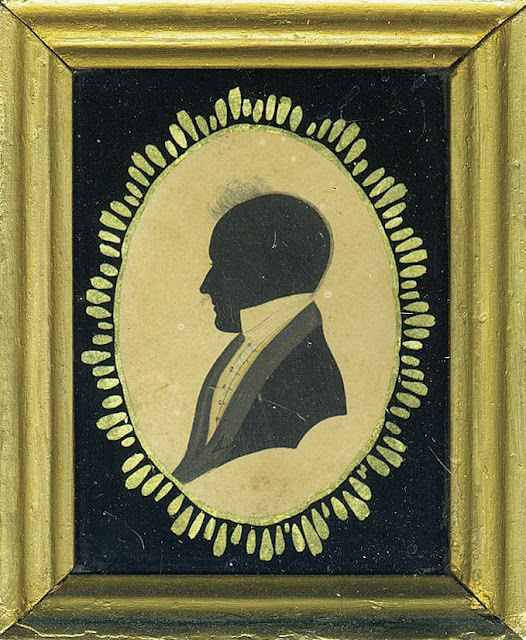 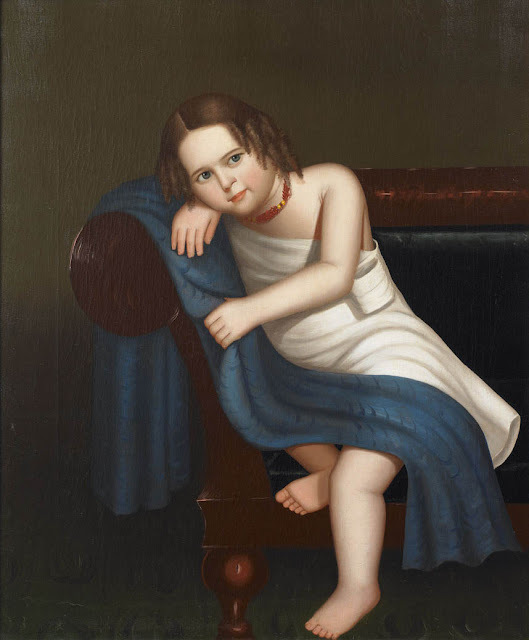 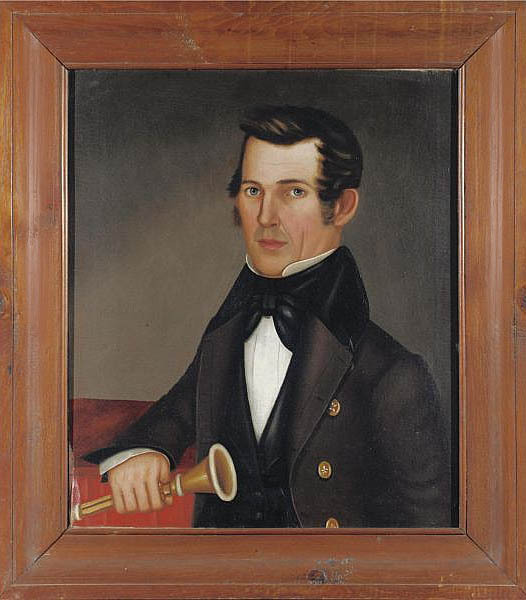 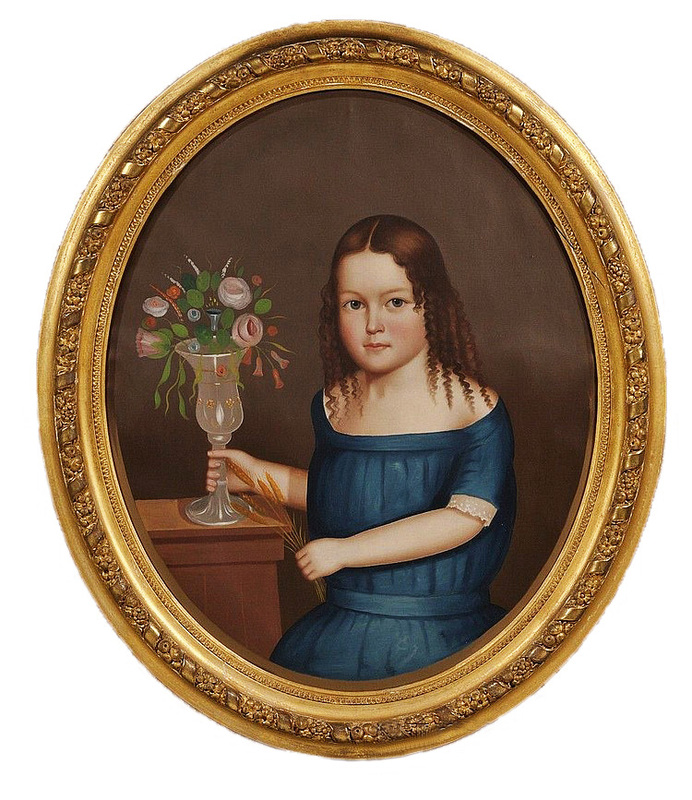 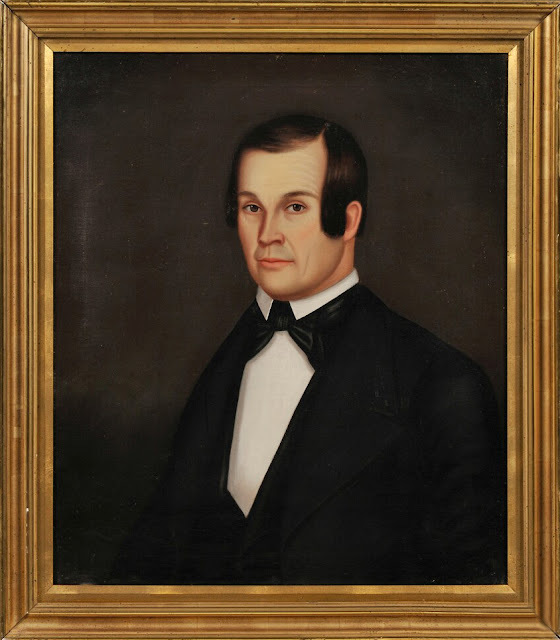 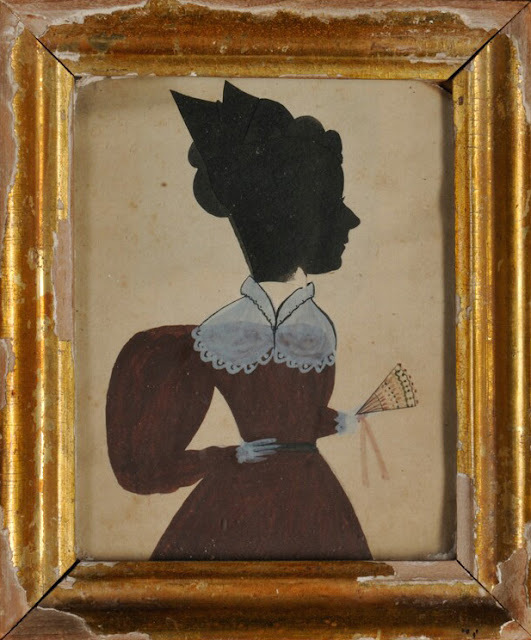 He accepted portrait commissions through at least 1859 and was listed as a painter in the 1860 census of Springfield, Vermont. 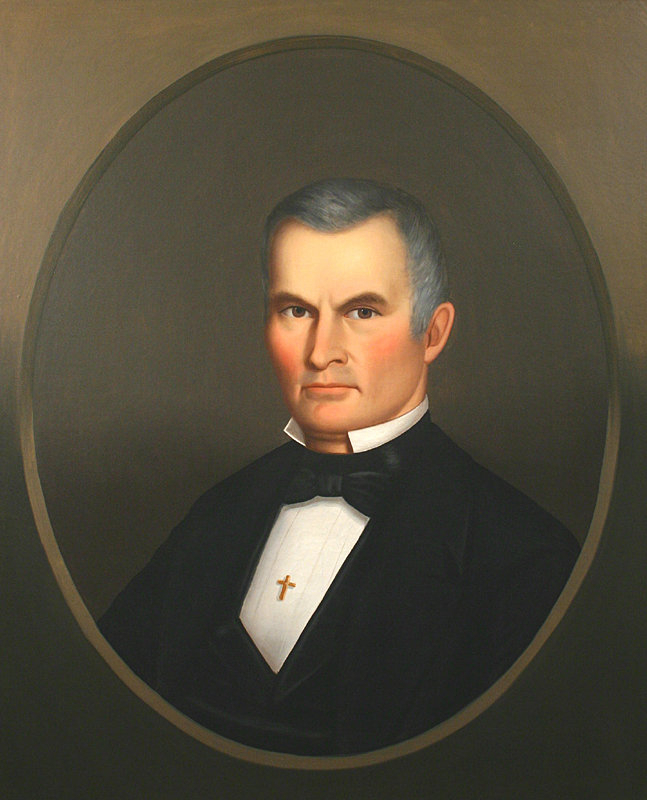 In 1863 Bundy was appointed pastor of the Second Advent Church, Lakeport, New Hampshire, where he was recorded as an important leader. 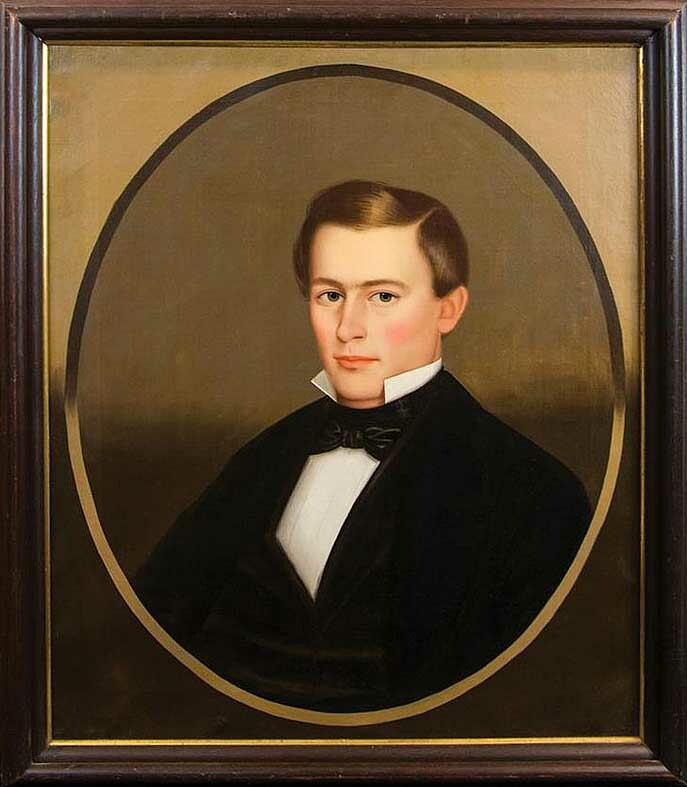 In 1883 Bundy journeyed to Jamaica, where he is reported to have executed several paintings for a wealthy planter and to have made studies of tropical scenery. He died of typhus shortly after his return to the United States in the same year.